Now the question is: what are the ramifications of this landmark event? How will it affect the financial ecosystem? 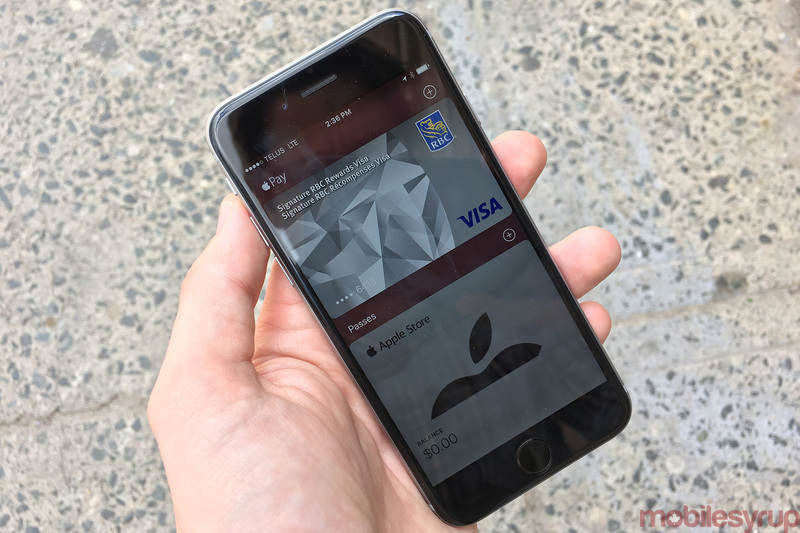 Will Canada, with its strong existing tap-and-go payments infrastructure, be one of the fastest adopters of Apple Pay yet? In attempting to answer those questions, MobileSyrup spoke with several analysts and industry experts for their opinions. While Apple Pay and Canadian financial institutions may now be working together in harmony, the path to collaboration was purportedly more challenging than in markets like the U.S., which are less centralized. Rumours abound that a difficult negotiation process was to blame for the fact Apple took eight months from its launch with AMEX to complete the Canadian rollout if Apple Pay. According to a report from the Financial Post, a source familiar with arrangement says that Canadian banks were able to negotiate slightly more favourable terms than in the U.S. It was widely reported that in the U.S. Apple receives 15 cents from the banks for every $100 purchased. Canada shares that pricing, but has negotiated a lower fee of 4 cents per $100 purchased for cards on which they make an annual payment of 50 cents. The Financial Post reports that this is similar to arrangements in Australia and the U.K. This sacrifice allowed Apple to enter a market that is otherwise very appealing, due in part to the fact that it has a high install base of iPhones. Global market intelligence firm IDC Canada estimates 44 percent of the total smartphone install base in the Canadian market is comprised of iPhones, based on data gathered at the end of 2015. The other reason Canada has potential for a significant penetration rate is its robust tap-and-go payments infrastructure. 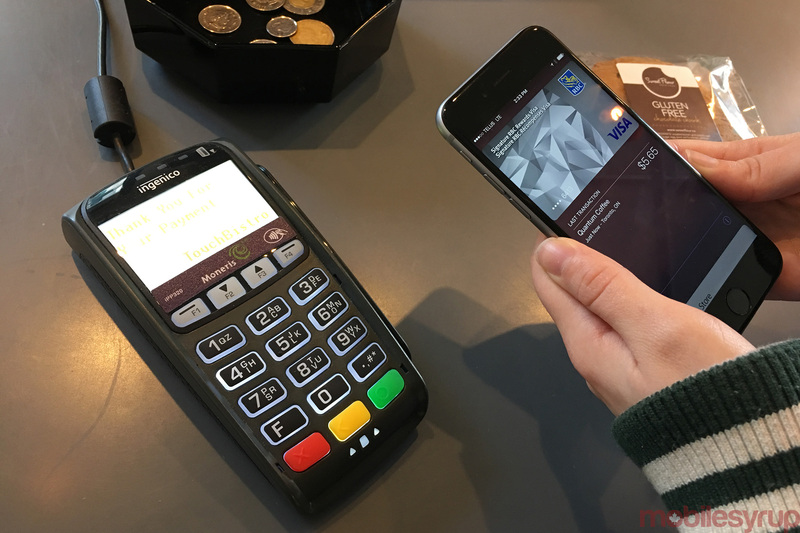 In October of last year Moneris, Canada’s largest card payment processor, announced that 85 percent of its merchants would be capable of accepting Apple Pay and that for the past two quarters between 10 and 20 percent of all domestic transactions on its systems had already taken place through contactless methods. Jan Pilbauer, vice president of information technology and chief information officer at the Canadian Payments Association, believes by this time next year, Canada may see a ten percent penetration rate for smartphone owners using digital wallet apps. He says this includes Apple Pay, Samsung Pay, which is due to arrive at some point this year, and Android Pay, if Google’s mobile payment solution launches in Canada at some point in the near future. Indeed, in comparison with some estimates of Apple Pay’s adoption rate in its first year in the U.S., it would be approximately double. The publication PYMNTS and consumer research firm InfoScout in the U.S. reported polling a “statistically significant” number of consumers throughout Apple Pay’s first year of deployment. The two organizations found that of all potential sales that could have been made with Apple Pay, only 5.1 percent actually were. Its research further shows that the reasoning given by consumers was chiefly that they either forgot, or weren’t sure if the store would accept Apple Pay. 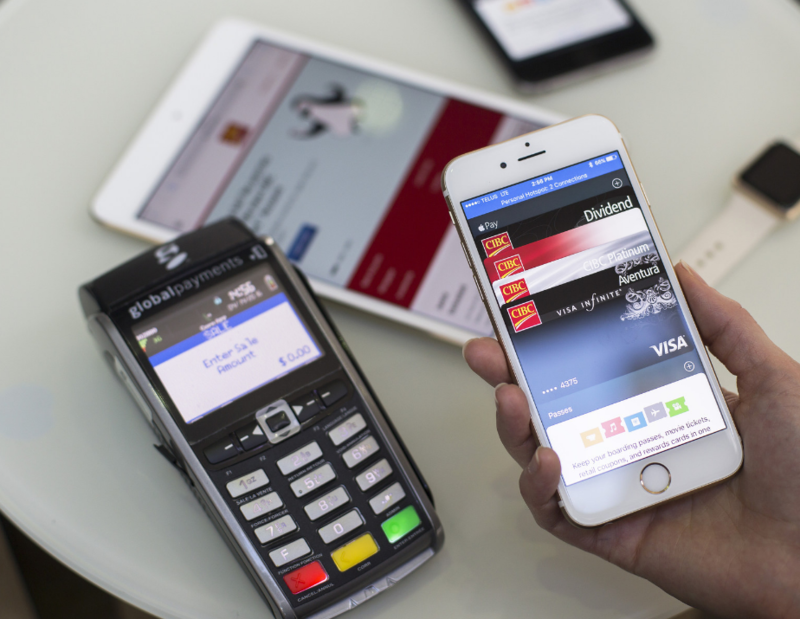 Back in 2014, when outlooks for Apple Pay adoption were rosier, IDC Canada forecasted that the mobile payments market would reach maturity within three years. Three years later, it revised that statement to predict that mobile payments would become mainstream by 2019. IDC Canada analyst Robert Smyth believes that estimate still stands, even with this new surge of activity. Will safety fears hold Canadians back? One of the main issues that might hold back Canadians from adopting Apple Pay, apart from ignorance, is security. Jeff Berry, senior director of research and development at LoyaltyOne, a coalition of loyalty programs experts, thinks that with the Canadian banks signing on to the platform, more Canadians will trust the new technology. “Trust and security has remained a big issue with digital wallet adoption to-date, but studies show that consumers are more likely to adopt a mobile wallet platform and engage with the app if they trust a brand, and because banks are some of Canada’s most trusted brands, they are well-poised to get the most out of this digital trend,” says Berry. 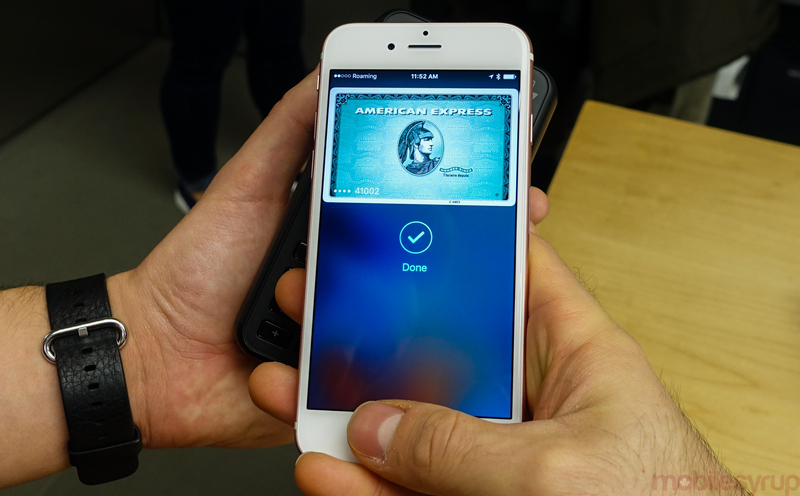 Besides the banks adding a layer of trust, Apple has stated that its multi-layered security protocols make Apple Pay more secure than current tap-and-go technology. “Security was very important and we think the work that we’ve done to design in these additional layers of security make it even more secure than credit and debit cards today,” Jennifer Bailey, Apple’s vice-president of internet services and Apple Pay told MobileSyrup. The use of biometric information brings about its own safety issues, of course. Pilbauer says the CPA consulted on those issues with key stakeholders preceding the announcement. Outside of the specific forecast for Apple, what has Apple Pay’s big expansion in Canada done to the mobile payments ecosystem? Smyth says it’s too early to tell. “The entry of Apple was anticipated and while it has many interesting features there is nothing revolutionary yet,” said Smyth. Smyth says loyalty card integration and added value for merchants are among the things needed to have mobile payments become mainstream. Berry agrees that the success of mobile payments is contingent on a full digital wallet experience that would include loyalty cards. With more banks yet to arrive on the Apple Pay platform, and the fast-growing Samsung Pay due to make its debut later this year, only time will tell what the mobile payments landscape will look like in on year. One thing is certain, however: many more Canadians will be leaving their wallets at home.